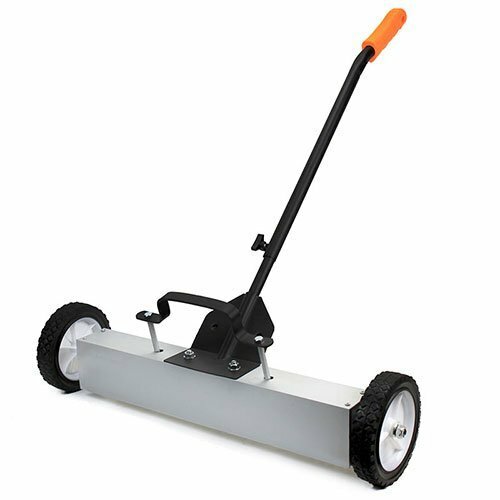 XtremepowerUS 36'' Heavy Duty Magnetic Sweeper With Wheels for Concrete, Carpet or Grass - Quick-Release - Adjustable Sweep Height by XtremepowerUS at Forestreet. Hurry! Limited time offer. Offer valid only while supplies last. Adjustable Sweep Height From 31" to 45"
View More In Magnetic Sweepers. If you have any questions about this product by XtremepowerUS, contact us by completing and submitting the form below. If you are looking for a specif part number, please include it with your message. © 2019 - forestreet.net. All Rights Reserved.